Beauty kits are fantastic! They give you the chance to try so many new products saving some money. They also great to get mini travel sizes witch are perfect for travelling. They're very handy now during summer to bring with us on holidays. Divine Oil: this dry oil moisturises and enhances your skin. It extremely nourishing. It has a lovely floral, woody scent. Make Up Remover Cleansing Water: It's a gentle cleanser suitable for the most sensitive skin. It moisturises and soothes the skin. Fleur De Vigne Shower Gel: This is scented with an uplifting aroma of white rose and rose pepper. Vinosource Moisturising Sorbet: This is a light but moisturising sorbet, great for sensitive skin. One-Step Facial Cleanser: It's a cleanser and a toner in one step. There's no need to rinse. Hydra Quench Cream. A very moisturising cream for normal to dry skin. Clarins Instant Light Natural Lip Perfector in 05 Candy Shimmer: This is a must have lip product. It extremely moisturising and feel so nice on the lips. It's creamy and glossy but not sticky and smells delicious!. The kit contains the shade Candy Shimmer which is a coral pink colour and it's also the original size! These are two perfect sets to try, for 20 euros you get the chance to try different skin products. They make the perfect gift or a great indulgent treat for yourself. Do you know any other beauty kit perfect for this summer? 12 comments on "SAVE MONEY AND TIME THIS SUMMER: TRAVEL SIZE BEAUTY KIT"
Lis! 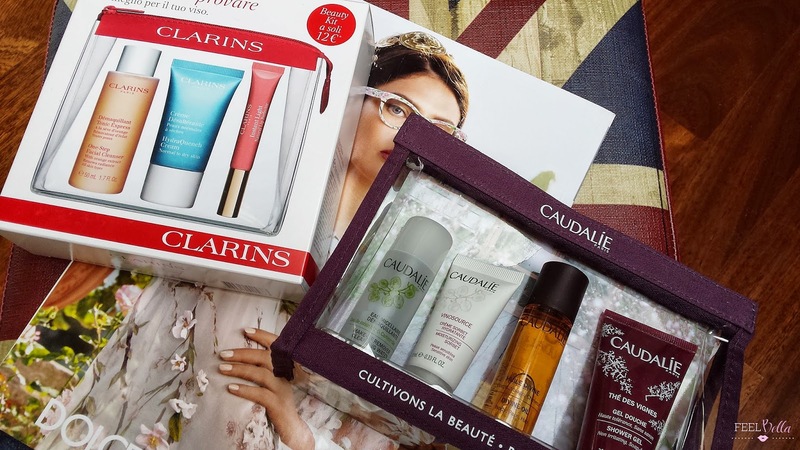 I bought the Clarins set at Sephora and the Caudalie one at the pharmacy but I saw the Caudalie set in www.feelunique.com ! Good call on the travel size! I tried to extreme coupon a while back and the people I was learning from all said to purchase travel sizes with coupons and you could often get them for free! I follow you with GFC! Both sets sound amazing. I would get the Clarins set just for the Lip Perfector. It looks beautiful! 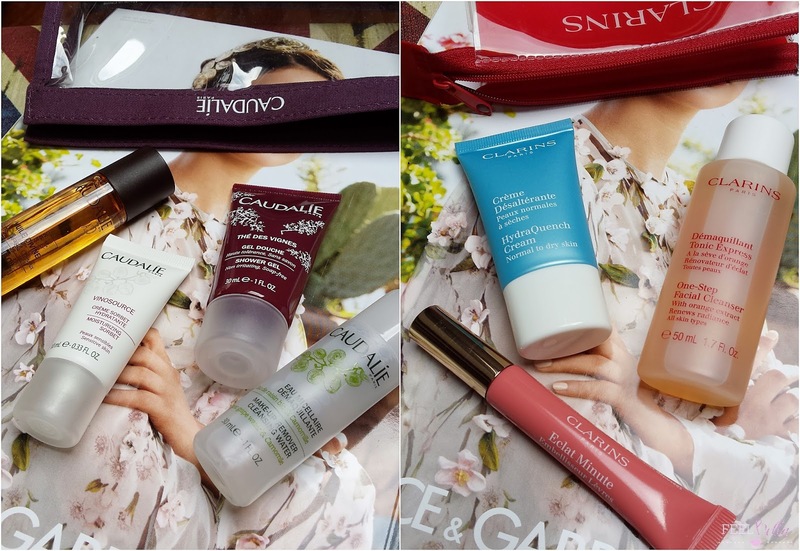 I love Caudalie products, and I can't resist to travel sizes! ooh, I hope I can find that Caudalie travel kit, all the essentials!